The federal government has temporarily suspended funding for a project to upgrade the state’s antiquated child support enforcement system — run through the AG's office — whose projected costs have risen dramatically ahead of initial estimates. Editor's note: This story has been updated with comment from Accenture. The federal government has temporarily suspended funding for a six-year-old project to upgrade the technology for the state’s antiquated child support enforcement system, the projected costs of which have risen dramatically ahead of initial estimates. 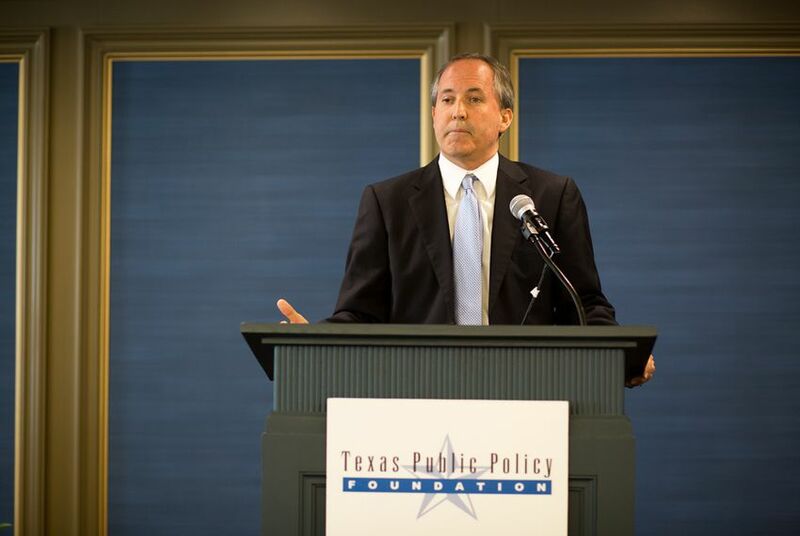 The Texas attorney general's office launched a $202 million project to upgrade its child support enforcement system in 2009. The original plan included a $70 million contract with Accenture to design, develop and implement the project. Child support enforcement is a shared responsibility of states and the federal government, so the federal government agreed to pay two-thirds of the project’s costs. By 2012, agency officials realized that the project's costs were far higher than expected, and concerns were growing about Accenture's handling of its share of the work. By this summer, the project's price tag had grown by more than $70 million. The current estimate for the project is $310 million, more than $100 million above the initial $202 million budget, according to the attorney general's office. Concerns about the project's "runaway development costs, overly complex systems, increased maintenance costs and significant delays" prompted the U.S. Department of Health and Human Services Office of Child Support Enforcement to place a "funding freeze" on its share of Accenture's costs until more information is available, according to a letter from Mara Friesen, deputy attorney general for child support, to Texas Legislative Budget Board Director Ursula Parks. Friesen added that the federal government wouldn't restart funding until it received a detailed schedule "outlining tasks and resources necessary to complete the project" and a "Corrective Action Plan" outlining the causes of the repeated delays and the plans to fix them. "We are nearly finished putting that information together," attorney general's office spokeswoman Katherine Wise said Friday. "We’re continuing to work with them, as well as state officials and Accenture, and feel the project remains in a much better position to succeed than it was when we first raised concerns months ago." Accenture spokesman Joe Dickie said Friday that the company was proud of its work with the attorney general's office on the project, also known as T2, but made clear that it is only one player in a vast undertaking. "Accenture is not and never has been responsible for the entire T2 Program, and attributing all of the challenges faced by this innovative, complex program to Accenture is inaccurate," Dickie said. "In fact, many of the project's challenges are a legacy of the requirements that were originally developed by other third-party vendors that Accenture neither selected, hired or managed." To date, Accenture has been paid $25 million for its work on the project, Dickie said. During this year’s legislative session, the attorney general's office sent two letters to Gov. Greg Abbott and other state leaders warning that an initial review of the project under the office’s new leadership was raising alarm bells. The project was started while Abbott was attorney general. “In short, the project no longer appears to be ‘on time’ and it appears also to be increasing in budget,” First Assistant Attorney General Chip Roy wrote in a letter in March. Despite the concerns, his office did not ask lawmakers for any additional funding for the project beyond the $43 million already included in earlier drafts of the budget, Roy said. Concerned budget writers added a rider in the attorney general's office budget requiring that it create a steering committee to oversee the project and to report any expected cost overruns or delays to the Legislative Budget Board. Paxton's office recently dropped 11 technology contractors from the project, according to The Dallas Morning News. On Thursday, the House Appropriations Committee has scheduled a hearing devoted to questions and concerns about the upgrade of the state's child support system. More than half of the attorney general’s budget goes to child support enforcement. For years, the agency has prided itself on being the national leader in child support collections. Millions of parents and thousands of state employees rely on the office’s computer system to handle the complicated and often delicate aspects of managing child support cases, including locating parents, collecting payments and distributing funds to custodial parents. But the technology rests on a rickety, 20-year-old framework that becomes more unwieldy with every passing year. Agency officials say the system is slow, convoluted and difficult when it comes to training new employees. Accenture has also seen high-profile difficulties with large state contracts going back to the 1990s, when it was called Andersen Consulting. More recently, the company has seen troubles managing the Children's Health Insurance Program and running call centers enrolling Texans in food stamps and Medicaid. The attorney general's office began renegotiating the project's parameters and costs with Accenture earlier this year. "We have now seen material improvements in recent weeks in the product itself and in the quality of the team developing it," Friesen wrote Friday. Nonetheless, she warned that the project's new completion date could be "well past 2020," years later than originally planned. Disclosure: Accenture is a corporate sponsor of The Texas Tribune. A complete list of Tribune donors and sponsors can be viewed here.